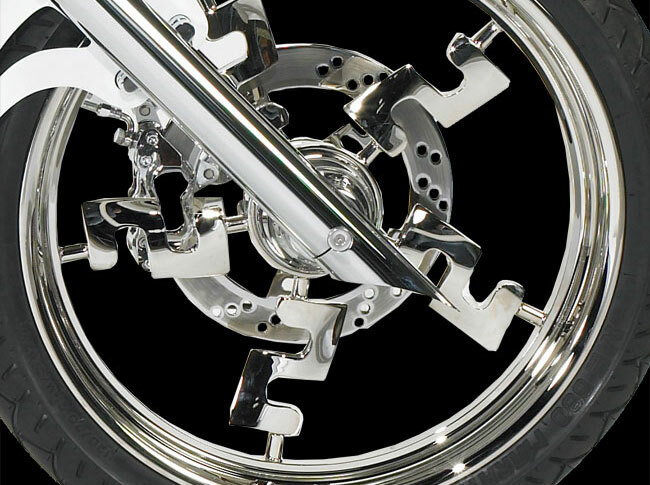 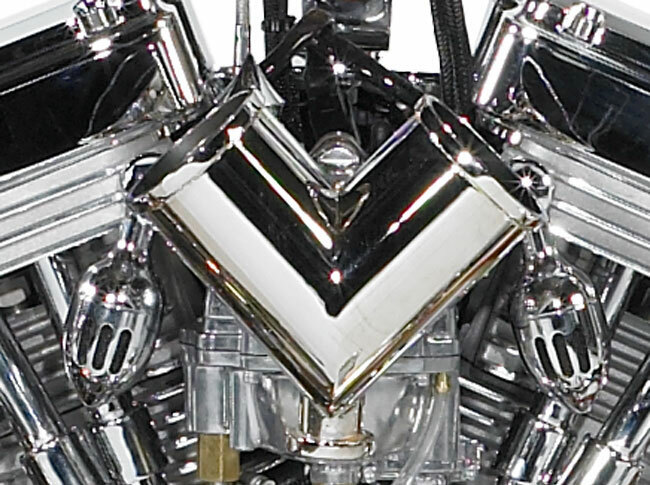 BENSENVILLE, IL — The newest custom bike will be unveiled from Orange County Choppers, the star bike builders of TLC’s hit show American Chopper. 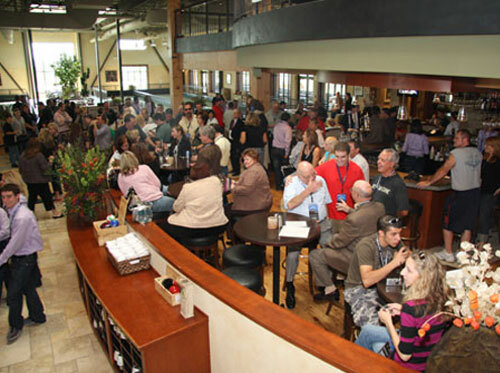 The invitation-only event will take place Thursday, Sept. 18, 2008. 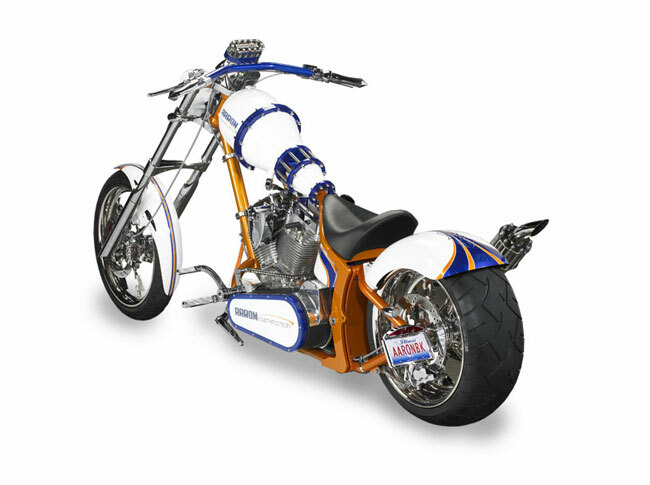 The bike was created for Aaron Equipment Company, headquartered in Bensenville. 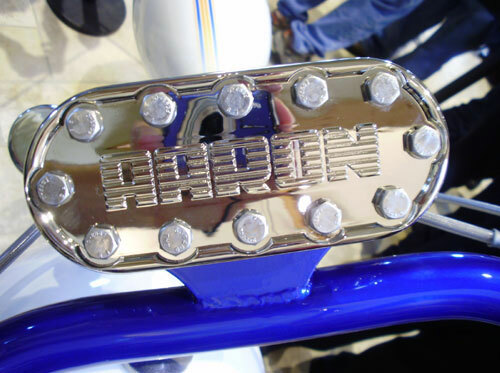 Aaron is an international buyer, seller and trader of used and reconditioned process equipment. 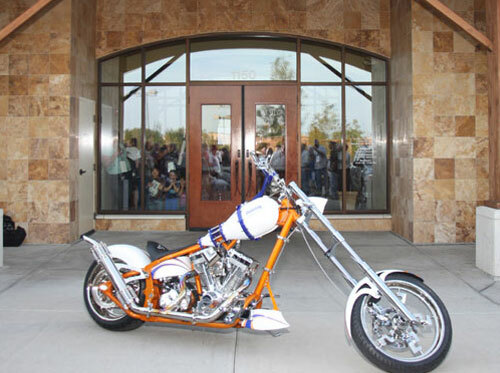 The chopper will be featured on an upcoming episode of American Chopper, airing at 9 p.m. EST on TLC. 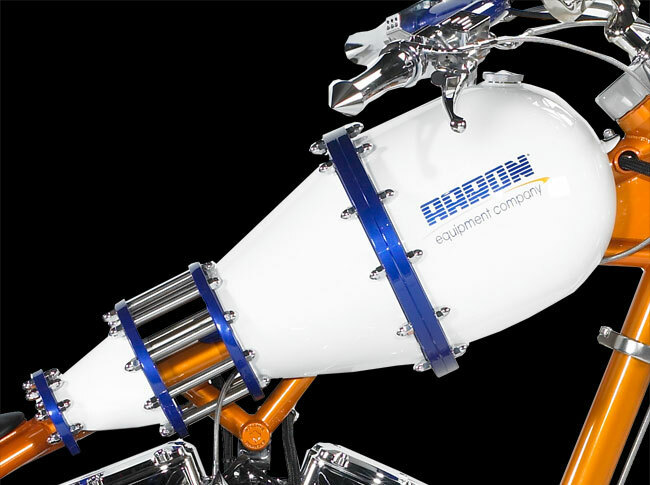 Teaming up with Orange County Choppers’ famous Teutul family – Paul Sr. and sons Paul Jr. and Mikey – came as a natural fit for Aaron Equipment, since both companies develop innovative solutions for their customers, and both are family run. 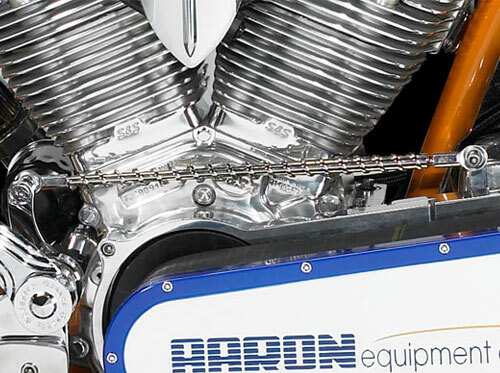 “Everyone at Aaron is passionate about what we do, just like everyone at Orange County Choppers. 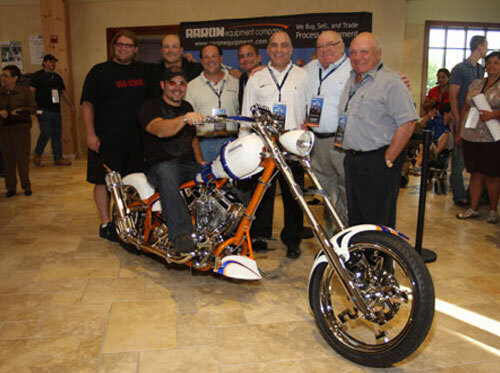 That’s one of the main reasons we wanted to build a bike with them,” said Michael Cohen, one of the owners of Aaron Equipment. 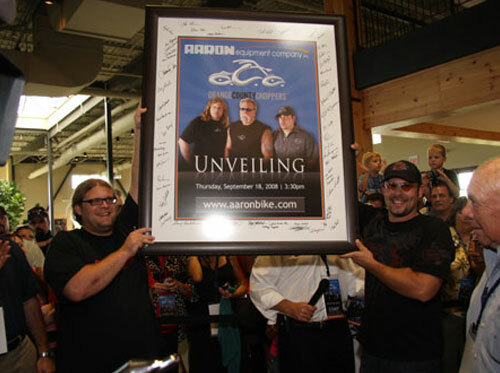 The design and build process, along with the unveiling of the Aaron bike will be in the TV program. 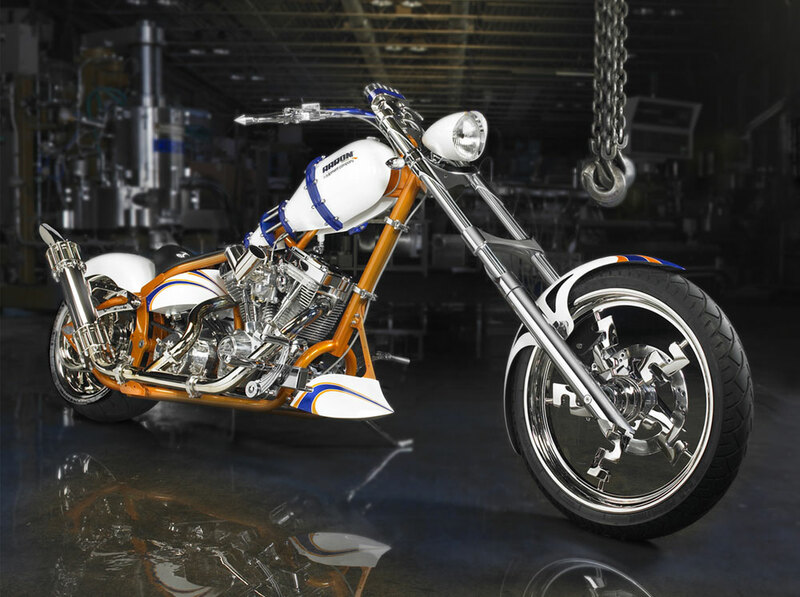 The Teutuls drew inspiration for the chopper by visiting Aaron’s massive North American headquarters, which has more than 30 acres of used and reconditioned process equipment. 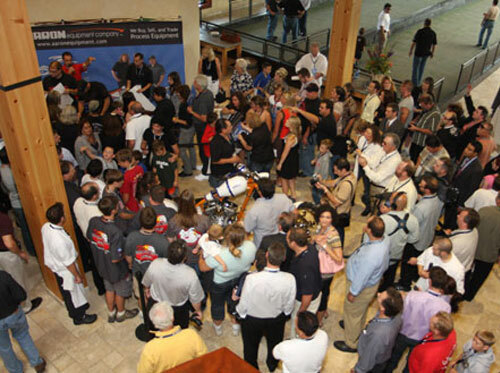 Everything from centrifuges and heat exchangers to mixers, plastic extruders, and tanks is available, making up one of the largest inventories of process equipment in the industry. 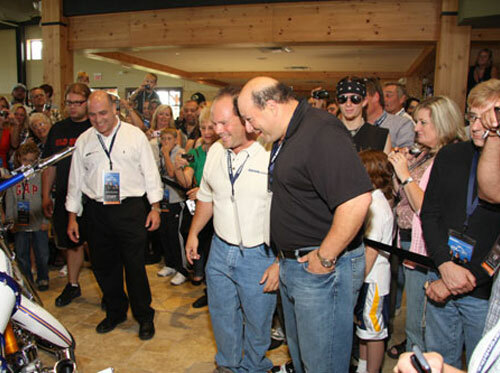 “Customers often come in and tell us ‘I feel like a kid in a candy store,’” said Cohen. 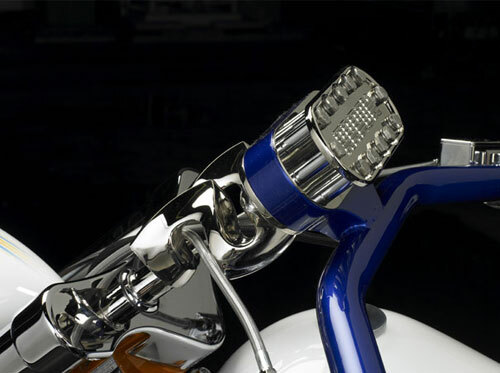 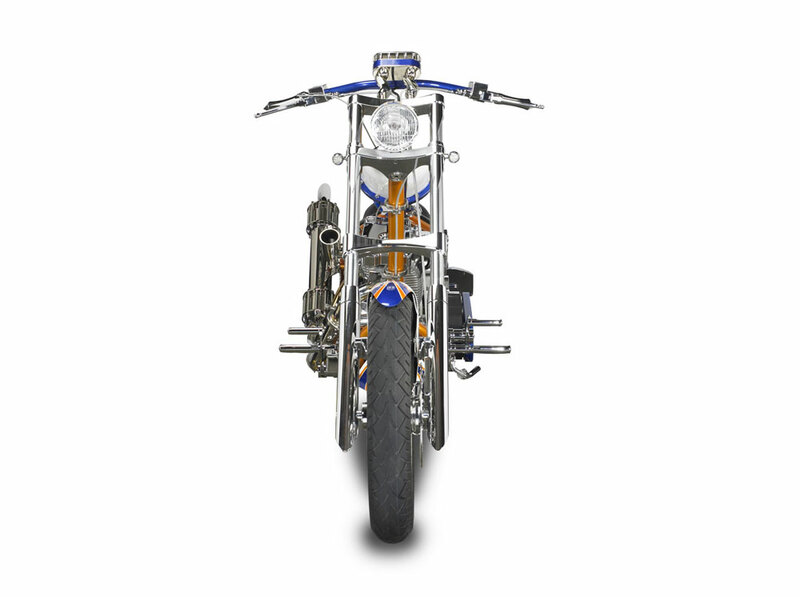 The chopper’s custom appearance includes a gas tank designed to look like a pressure vessel, and equipment-inspired looks for the exhaust, spokes, and other bike components. 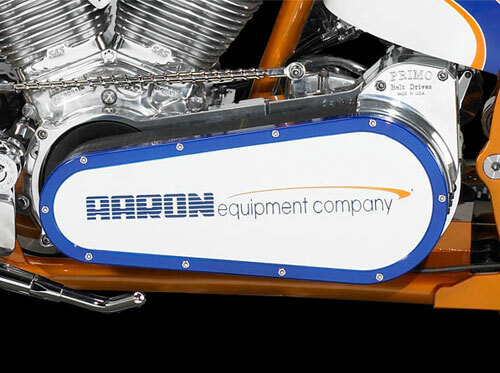 The bright blue and orange of Aaron’s logo make up the color scheme. 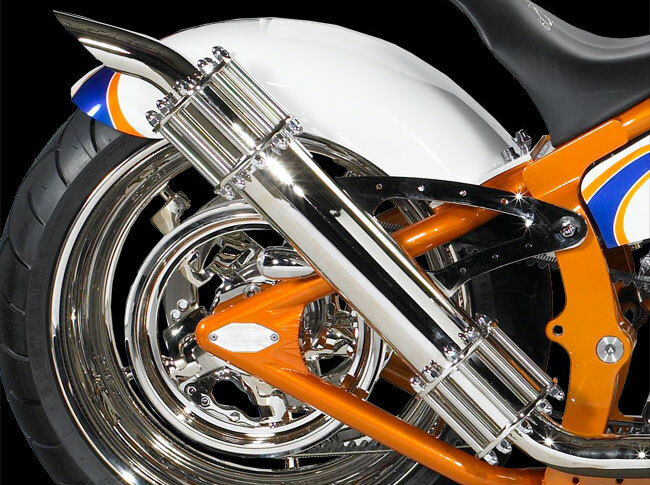 “We’re constantly innovating to be the best resource for our customers, just as the Teutuls focus on cutting-edge designs that get to the souls of their customers,” said Cohen. 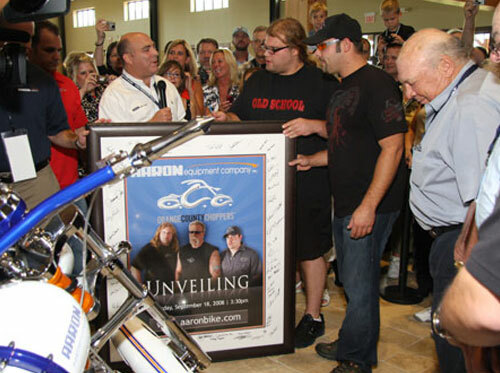 Orange County Choppers started as a sideline to the family's steel manufacturing business, which was founded in the 1970s. 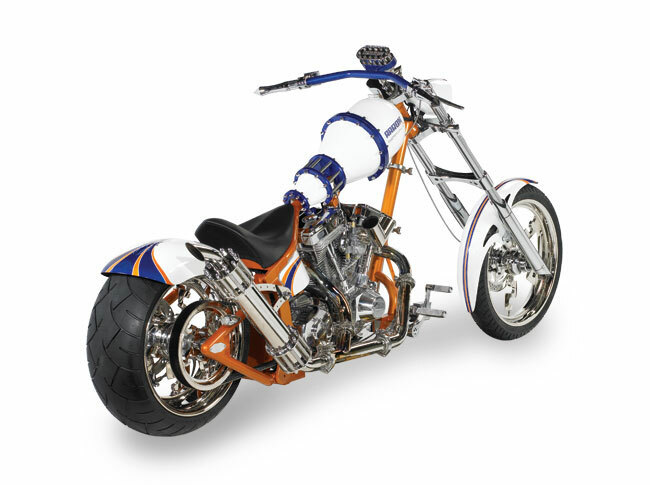 In the late 1990s, Paul Teutul Sr. began building custom motorcycles as a hobby and in 1999 he and his son, Paul Jr. founded Orange County Choppers. 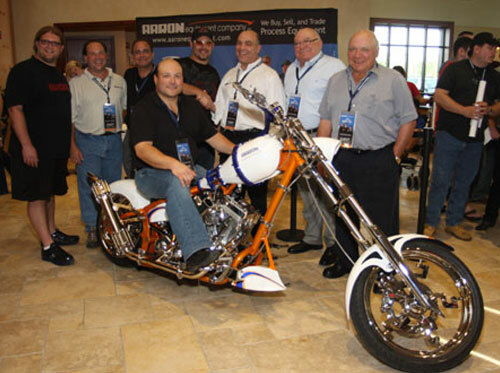 Their first bike, ‘True Blue,’ debuted at the 1999 Daytona Biketoberfest. 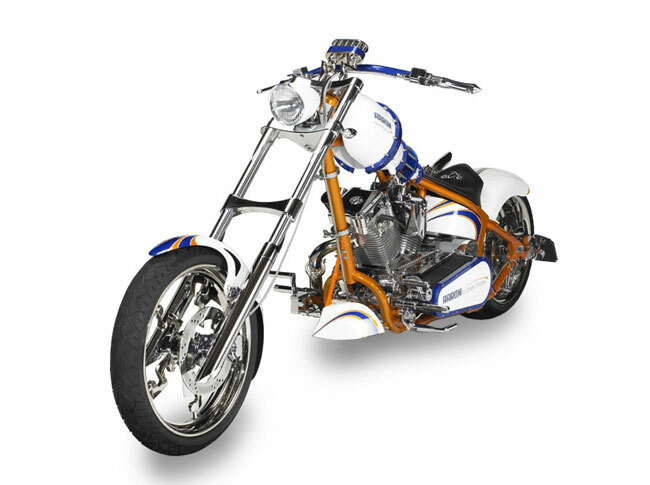 Now headquartered in Newburgh, NY, Orange County Choppers is regarded as one of the world’s premier builders of custom motorcycles and recently launched a production line of bikes. 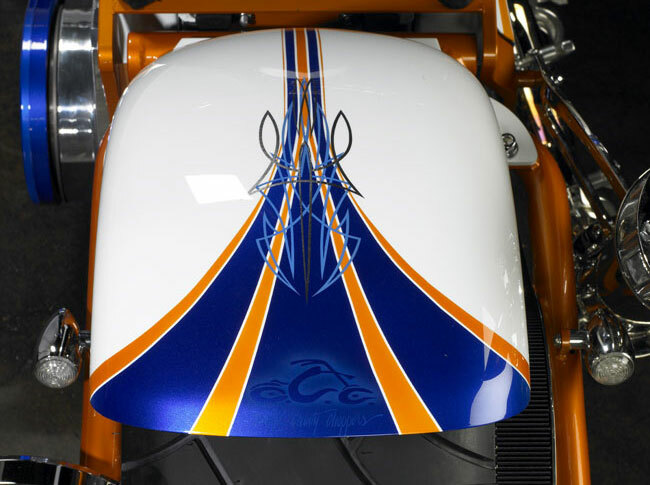 The OCC brand has become one of the most recognizable brands in the world and has also produced a wide array of merchandise such as t-shirts, hats, diecasts, assorted novelty items, guitar accessories and more. 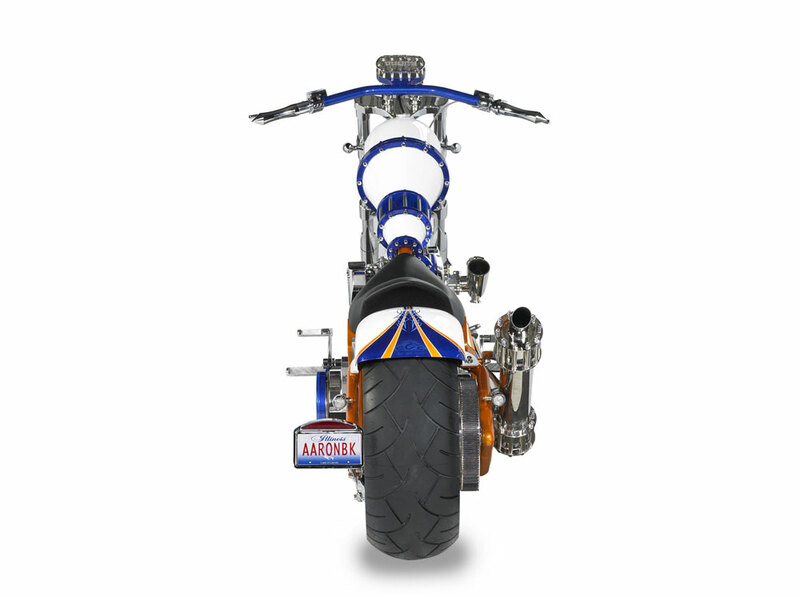 The OCC shop is featured on American Chopper, a reality television series that chronicles the lives of the OCC crew as they battle impossible deadlines to create outrageous custom chopper creations. 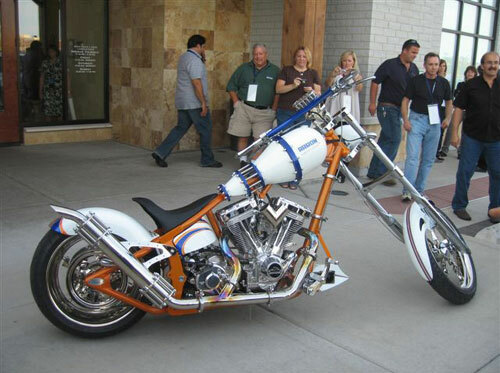 The show, which has contributed to OCC's quick rise to fame, debuted in September 2002 on the Discovery Channel. 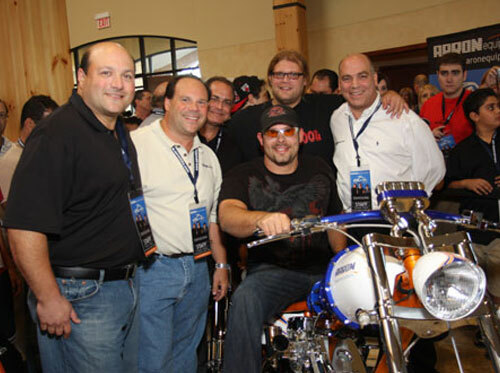 American Chopper now airs on Discovery Channel's sister station, TLC, on Thursday nights at 9pm EST / 8pm CST. 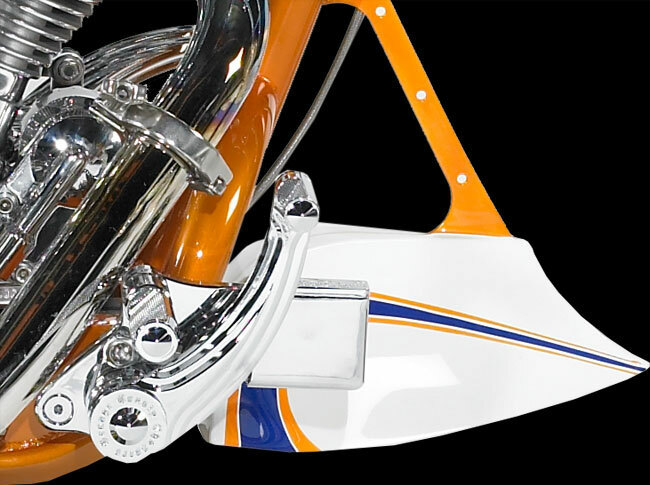 For more information, visit www.orangecountychoppers.com and www.occmotorcycles.com.